A truly stunning collection of genuine one of a kind vintage and boho wedding dresses for the modern bride on a budget. Vintage Lane Bridal was formed by Manchester based Sybil and Lauren a Mother and Daughter team with a love of all things vintage. Sybil has been collecting original vintage wedding dresses for over 20 years. Our vintage wedding dress shop Bolton is based in Bromley Cross, Greater Manchester, part of the beautiful Lancashire countryside at the stunning and quaint Last Drop Village Hotel. Our beautiful bridal boutique is filled with rails of stunning vintage wedding dresses, we stock sizes from 6 -16/18 and always have an excellent selection of styles and sizes. We have a stunning collection of genuine original vintage wedding dresses in the vintage bridal boutique that you will love. We pride ourselves on having lots of vintage long sleeve wedding dress, lace wedding dresses and also short wedding dresses. Our dresses range from the 1920's, 1930's, 1940's through to the 1980's. And even better they are all priced under £350! Each of our vintage wedding dresses are hand selected by us for their own unique beauty and style. We search far and wide in our effort to continually offer you only the best and for the best price! We specialize in pretty ready to wear vintage wedding dresses for the modern bride and we welcome every type of bride to vintage lane bridal boutique. You don't have to be having a full on vintage themed wedding to wear a beautiful vintage gown. We cater for every bride who likes to be that little bit different and not follow the crowds! Our brides have all types of wedding including: registry office weddings, town hall informal weddings, festivals, barns, destination weddings. We are proud to say our dresses are perfect for every type of wedding so... Be Unique! Buy Vintage and no other bride will have YOUR dress! All of our wedding dresses are ready to take away on the day so there is no waiting around for months once you have chosen the one! Of course we can recommend a seamstress should you need a little nip or tuck but most fit like a dream. We like to think we offer that little something extra special at our appointments, we pride ourselves on a relaxed, fun and informal atmosphere. It's fine with us if you only want to try on one dress or if you want to try on 20 or so dresses that is also fine! We usually offer up to 2 hours per appointment giving you plenty of time. 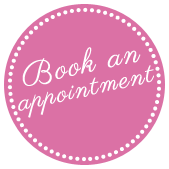 Get in touch to book your relaxed and friendly bridal appointment. We look forward to seeing you soon and helping you find your dream vintage wedding dress! Please take a look at our gallery so you can see how different the dresses look on a real bride and also how each dress is unique. Vintage Lane Bridal Boutique was opened by manchester based mother and daughter team, based in Bolton, Manchester. Bolton Lancashire. Offers a stunning collection of original vintage and boho wedding dresses. Our little wedding dress shop is just full of unique, 1920s, 1930s, 1940s, 1950, 1960s, 1970s wedding dresses. We love offering our brides something a little different and have a beautiful collection of long sleeve wedding dresses, long sleeve wedding dress, lace wedding dresses, illusion wedding dresses, tea length wedding dresses, short wedding dresses. Our wedding dresses are perfect for vintage weddings, Festival Weddings, Woodland Weddings, informal weddings and every type of wedding you can imagine, so if you are located in the wiga, blackburn, harwood, preston areas we are just a short drive away.